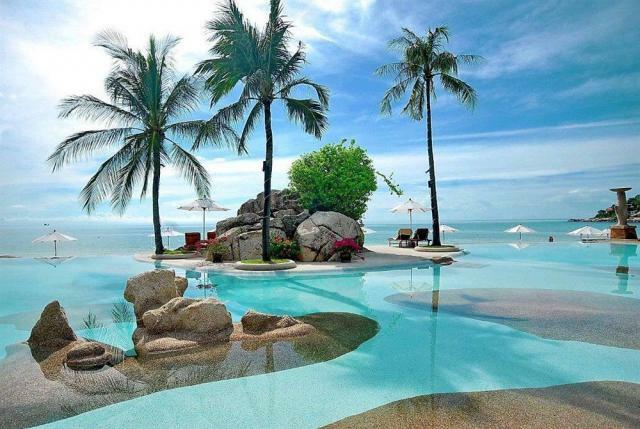 Ko Samui - A Perfect Honeymoon Destination. Today, tourist from the whole world go to this easygoing Paradise. Most beaches has white sand and are fringed with coconut palms. Many resorts and hotels are located just a couple of meters from the beach. Expenses for your personal nature. Welcome to Thailand !!! 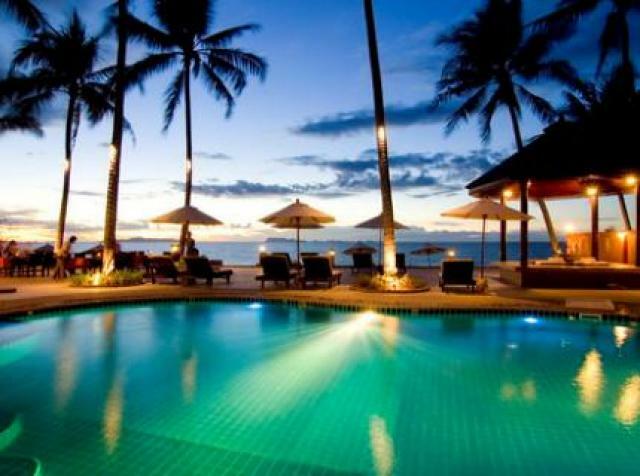 Upon arrival at Bangkok Suvarnabhumi International Airport take connecting flight to Koh Samui after arrival kindly make your way to the exit gate, you will be greet by our local representative and transferred to the beautiful beach destination Koh Samui. Check into the hotel. Rest of the day at leisure. Overnight stay at the hotel. After a sumptuous breakfast at hotel enjoy the City Tour with beautiful beached of Koh Samui. Ko Samui, or often simply Samui as it is referred to by locals, is an island off the east coast of the Kra Isthmus in Thailand. It is located close to the mainland town of Surat Thani in Surat Thani Province. In the interior of Samui Island are a number of waterfalls that can make an interesting change of pace when you tire of the beach scene. The most popular of these are the Na Muangfalls, so called because the rock face is purple.The Na Muang falls lie south of the island's central peaks, at about the midway point between the two coasts. A paved entrance road leads off the main street connecting Hua Thanon, south of Lamai, to Nathon. There are actually two tiers to the falls. The higher tier requires some trekking, on foot or elephant, to reach.The lower tier is 30 meters high with water cascading over a sheer rock face into a deep pool that can be nice for swimming. Overnight stay at the hotel. After a sumptuous breakfast at hotel you will be transferred to airport to catch flight for your next destination Bangkok. Upon arrival at Bangkok Suvarnabhumi International Airport kindly make your way to the exit gate, you will be greet by our local representative and transferred to the hotel. Later get ready to experience panoramic City and Temple tour of Bangkok. The tour takes you to some of Bangkok's most distinguished Buddhist temples locally known as Wats. Visit Wat Traimit, Temple of the Golden Buddha which is home to a 5.5 ton statue of the holy Buddha made from solid gold and is a fine example of Sukhothai art. Next stop comes at Wat Pho, Temple of the Reclining Buddha that is home to the largest and the oldest shrine of its kind in Bangkok. Overnight stay at the hotel. After a sumptuous breakfast at hotel day free for your leisure ,shopping ,explore the city own own or we recommend you to take optional tour of Safari World and Marine Park.Thailand's popular open zoo. Divided into four distinct sections (Safari Park, Bird Park, Games Corner and Macaw Island), the Safari World Park is the place to be, to see dolphins, orangutans, seals and a myriad of other exotic animals and birds amidst a picturesque African setting. Several lunch options are available here for you to pick from.Overnight stay at the hotel. After a sumptuous breakfast at hotel day free for your leisure ,shopping ,explore the city own own.Overnight stay at the hotel. After a sumptuous breakfast check out from the hotel. If you have time left in your flight, enjoy free time for some last minute shopping. Later get transferred to the airport to board your flight back home.